Serving Middlesex and surrounding counties for over 30 years, Fishin’ Factory 3 is your Connecticut River and Long Island Sound specialist. We offer Middlesex County's widest variety and selection of rods, reels, tackle and baits. Located in the middle of the state, seconds away from Route 9, we are 20 minutes from the Connecticut shoreline, an hour from the Rhode Island beaches, and minutes away from the Connecticut River and numerous fresh water lakes and ponds. 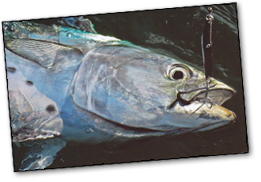 We are equipped with the latest software to issue inland, saltwater, and hunting licenses. Owner Andrew Nichols and his staff are all avid fisherman with hundreds of hours logged on Long Island Sound, Block Island Sound, Fisher's Island Sound, the Atlantic and the Connecticut River. 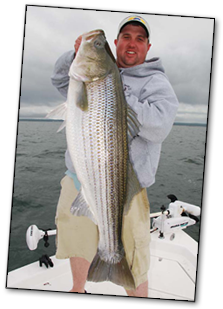 Fishing for Striped Bass, Fluke, Black Fish, Bonito, False Albacore, Tautog, Largemouth Bass, Pike, Trout and Panfish, Andrew and his staff can give you up-to-the-minute information about where the bite is going on and the tackle to help put a bend in your rod. If it's not in our shelves, we can order it and have it fast! For compounding, polishing, waxing, power washing, chemical bottom clean, interior cleaning etc. Fully insured and also provide scheduled maintenance! Prices vary based on size, boat style/type. Just call 860-299-3338 for quotes. Tell them Andrew at Fishin' Factory 3 sent you! For BOATS, CAMPERS, equipment, etc. Protect your investment from ice & water damage, UV rays and dirt! From only $7.50 per foot. Free estimates. Just call 860-343-1785 or 860-558-1384. Proudly serving the Connecticut (CT) Communities including Berlin, Chester, Cromwell, Durham, East Hampton, Haddam, Higganum, Middlefield, New Britain, Portland. and all of Middlesex County. © 2019 Fishin Factory 3. All rights reserved.